Life at The Belgard is truly designed with you in mind, which is why we’ve partnered with online interior design service Havenly to bring the effortless sophistication of our apartment homes to life. Our exceptional amenity offerings and apartments are already crafted to perfectly suit your needs — and with our distinctive partnership with the chic interior designers at Havenly, we’ve made it easy for you to discover design inspiration and incorporate it into your luxurious lifestyle. At The Belgard, we offer micro apartment homes, perfect for people that only need a small space or that travel often. We’ve partnered with Havenly to decorate our micro spaces and show how you can effectively design a small space to be functional and efficient. We’ve outfitted all our apartments with unparalleled finishing touches: GRAFF® chrome fixtures, Caesarstone® countertops, engineered hardwood plank flooring, cast-iron bathtubs and more. With our sophisticated features as a starting point, let Havenly elevate your home further with custom design concepts — curated just for you. Havenly is an online interior design service that allows you to work directly with professional, vetted interior designers to make your vision a reality. Havenly designers can work with any budget, incorporate existing furniture pieces if desired and allow for several rounds of revisions, so you can position your style prominently and with ease. 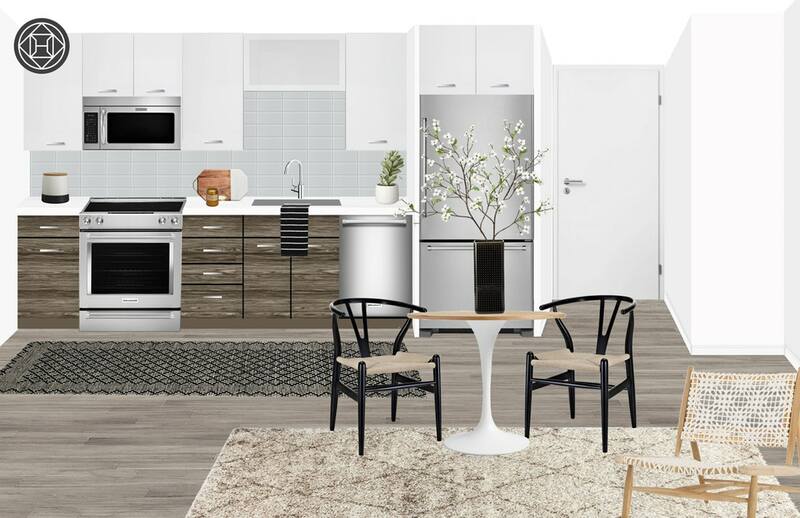 At The Belgard, we offer the unique opportunity for you to experience Havenly for yourself: Tour our Havenly-styled apartments, featured in our micro apartment floor plans, and discover inspiration for your own home. These spaces showcase The Belgard’s functional livability and refined style of living while giving you a glimpse of how Havenly could help put the finishing touches on your home.